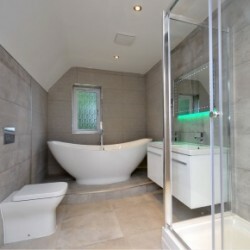 Walton Homes decided that the best way to ensure great indoor air quality at Mulberry Grove was with the Vort Quadro. 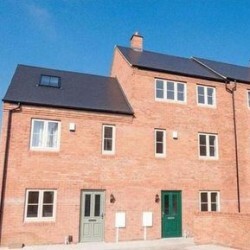 BBA Certified cement roof slates from Cembrit enhance a new housing development built in one of Coventry’s oldest streets. 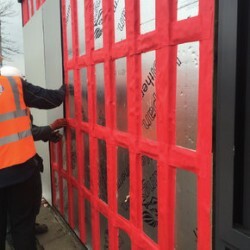 Wraptite tape ensured airtightness and vapour permeability behind rainscreen cladding in refurbished Primary School. 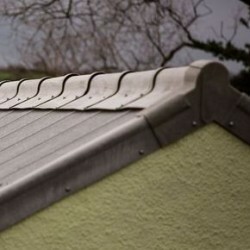 Village hall in Wales transformed by modern Cembrit B5 high performance fibre cement roofing material. 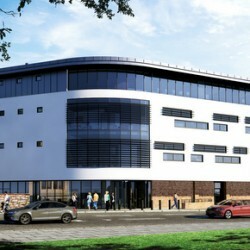 Project includes full first-fit specification for the custodial section and front facing areas of the new purpose-built State of Jersey police HQ. 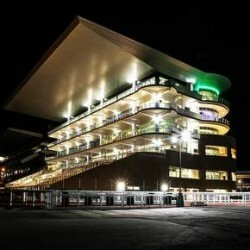 Glazing offers spectacular 5 storey grandstand views of the track, winners enclosure and the Malvern Hills.